Chuck Long scouts a site in the Maldives in preparation for the 2011-2012 ARM Madden-Julian Oscillation Investigation Experiment on Gan Island (AMIE-Gan). Photos are from ARM and Long. Charles N. “Chuck” Long has been a scientist for nearly three decades. He is an acknowledged world expert on Earth’s surface radiation energy budget, cloud macrophysics, quantitative techniques for inferring cloud properties, and surface instrumentation. In the last 25 years, he has done a lot of field work, analysis, invention, and management through a favorite entity: the Atmospheric Radiation Measurement (ARM) user facility, funded by the U.S. Department of Energy (DOE). 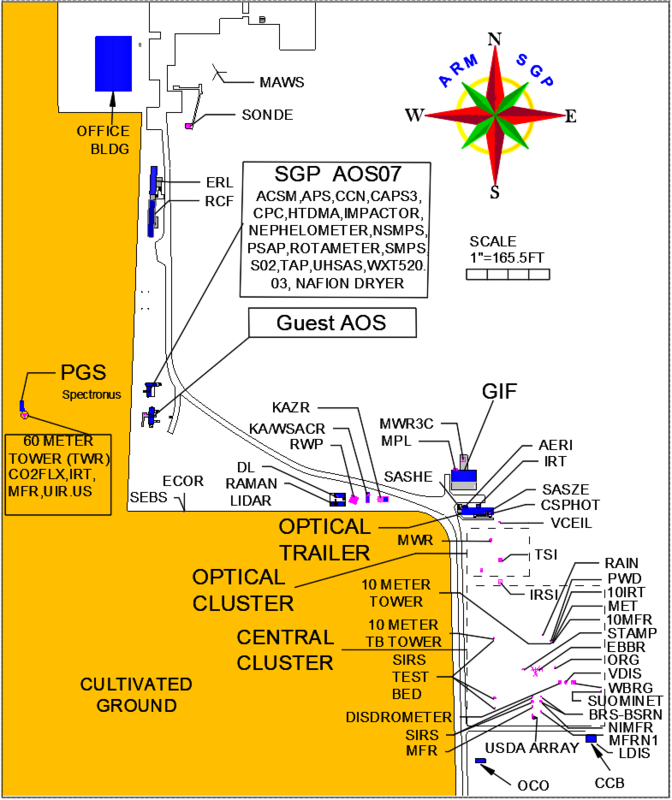 ARM is known for its network of fixed and portable observatories that gather continuous data for atmospheric science. Much to the regret of his collaborators (and to the regret of many fish he is soon to catch), Long retired December 31, 2018. Until then, he was a senior research scientist at the University of Colorado and at the Earth System Research Laboratory of the National Oceanic and Atmospheric Administration (NOAA) in Boulder, Colorado. From 1999 to 2014, Long was a senior research scientist at Pacific Northwest National Laboratory (PNNL) in Richland, Washington, and served as the radiometry expert for PNNL’s Atmospheric Remote Sensing Laboratory. While at PNNL, he was also site scientist for ARM’s Tropical Western Pacific (TWP) atmospheric observatory. Long and his wife, Sue (“My best friend,” he says), are moving from Boulder to a new house tucked inside a state forest in his native Pennsylvania. Just down the road is a stream stocked with trout. Even closer is a warm-water lake teeming with bass and bite-size bluegill sunfish. In the garage, Long will park a shallow-draft fishing boat he calls “the Long family yacht.” At 8 feet by 4 feet, it’s about the size of an executive desk. Perhaps a few years down the road, Long says he may get an actual desk at nearby Penn State University, his alma mater. His friends in the science business describe Long as modest, resourceful, and a good storyteller. “Chuck is one of the funniest guys I know,” says NOAA meteorologist Dave Turner, a longtime Long collaborator. He is also a terrific scientist, friends say: inventive with machines and algorithms and clever at building stuff. Those techniques led to the scientific achievements Long says he is most proud of—the QCRad Value-Added Product (VAP) and Radiative Flux Analysis (RADFLUXANAL), another VAP. They are used for understanding radiation datastreams by both ARM and NOAA’s Global Monitoring Division. Long has also led a life that has the makings of a good memoir. Though adept at computations, Long enjoys field work. He is a veteran of 27 field campaigns—14 of them in leadership roles. Here he downloads measurements from data loggers during a comparison with ARM data before a remote deployment in Germany’s Black Forest for the 2007 Convective and Orographically-induced Precipitation Study (COPS). Long was still an undergraduate at Penn State (B.S. in meteorology, with high distinction, 1991) when he did a research project that, a few years later, led to his first peer-reviewed paper. His co-author was Thomas Ackerman, a well-known scientist who was soon to be Long’s PhD mentor, and who started him on his career-long interest in cloud radiative forcing and the surface radiative energy budget. A few years later, Long was in his third semester in graduate school at Penn State (PhD in meteorology, 1996) when he was on-site scientist during ARM’s first field campaign, the 1993 Pilot Radiation Observation Experiment (PROBE) in Kavieng, Papua New Guinea. When Long finally arrived for two months of field science, he barely had time to drop his bags at the Kavieng Hotel before getting a speedy three-hour tour of the site from senior scientist David Renné, who was then with the National Renewable Energy Laboratory in Golden, Colorado, and had a plane to catch. At the airport, Renné handed Long the keys to the site’s rental truck. It was an act, he says, that made everyone else believe he was in charge. There were many lessons learned from the first ARM field work in the tropics, under hot, humid, remote, and challenging conditions. To discuss them, PROBE participants soon afterwards held an after-action conference at Los Alamos National Laboratory in New Mexico. Among other things, the knowledge gained went into the design of a coordinated suite of instruments for measuring surface radiation fluxes (and more) called the Atmospheric Radiation and Cloud Station (ARCS). It was later deployed at ARM tropical sites. In 1998, Long became an associate site scientist with ARM’s TWP atmospheric observatory, which had opened just two years before. He was a seasoned field campaigner by then, and over the years would happily participate in outdoors science all over the Pacific, in Alaska, Germany, the Maldives, Colorado, and, many times again, at the SGP in Oklahoma. Starting in 2002, Long was site scientist for all of the TWP, which was officially operational from 1996 to 2014. At its peak, the TWP consisted of three sites: Manus Island, Papua New Guinea; Nauru Island, Republic of Nauru; and Darwin, Australia. Long was principal investigator for two signature ARM tropical field campaigns, both in 2011 and 2012: the ARM Madden-Julian Oscillation Investigation Experiment-Manus (AMIE-Manus) and the ARM Madden-Julian Oscillation Investigation Experiment-Gan Island (AMIE-Gan). Both were designed to study the migration of organized deep convection over the Indian Ocean and into the western Pacific, a phenomenon known as the Madden-Julian Oscillation. At NOAA’s Table Mountain site in Colorado, Long poses next to the prototype that became a staple instrument in the ARM toolbox, the total sky imager. Pages of peer-reviewed papers. A lengthy list of campaigns, committees, and invited talks (in Japan, Israel, Austria, and elsewhere). All impressive. But a glance at Long’s curriculum vitae adds to the story—his fascination, from the beginning, with instrument development, and some of the successes that has engendered. Among other things, he developed the concept of a rotating shading arm for use with standard commercial pyranometers (1994–1996). Long started with an idea similar to that of the Multifilter Rotating Shadowband Radiometer, which measures solar irradiance. His concept led to conversations with R. Michael “Mike” Reynolds, now retired, who was then in the Geophysical Instruments and Measurements Group at Brookhaven National Laboratory in Upton, New York. In turn, that led to the development of a fast-rotating shadowband spectral instrument—the fast RSR—for retrieving aerosol optical depths on moving ships. Long also developed the concept of a Rapid Sampling Scanning Infrared Thermometer and associated screening methodology and software (2002–2003). The resulting discrete cloud-base and clear-sky brightness temperatures improved on what was then the current standard. ARM adopted the rapid sampling technology in 2005. Perhaps, however, his best-known invention is the hemispheric sky imager (HSI), along with the associated methodology and software (1996–1998). Long worked on it at NOAA’s Surface Radiation Research Branch in Boulder, in a joint effort with ARM. Between 1997 and 1999, he worked with Yankee Environmental Systems to develop the HSI prototype into the total sky imager (TSI), which Long says is now the most widely used sky-imaging system in atmospheric science. The TSI has a digital camera that looks down on a curved mirror and can capture 24-bit color images of the daylight sky as frequently as every 10 seconds. It provides a time-lapsed horizon-to-horizon view of the sky, with mirror rotation controlled by a small onboard computer. In the 1990s, getting measurements of hemispheric sky cover was a big problem, says ARM Technical Director Jim Mather, who has known Long for two decades. Long says he built his prototype “with baling wire and duct tape,” some off-the-shelf metal tubing, and a convex half-globe mirror of the kind used at truck stops and shipping yards. The small “golf ball” camera was housed in a painted-black Campbell’s soup can. One of 10 children, Long was raised on a 10-acre truck farm near Elysburg, Pennsylvania. The family grew their own produce, kept hogs, fished for trout, and hunted deer, turkey, rabbit, and squirrel to keep the freezer full. His father eventually sold the farm and moved into town to run a hardware and appliance store. Helping at the store, Long says, gave him mechanical skills and a knack for working with what was handy that later helped him as an atmospheric scientist. For 15 years (1973–1988), Long played drums and sang in a series of cover bands in the State College, Pennsylvania, area. One of them, Crossover, also fronted locally for national country music acts, including Garth Brooks. During his music career, he met Sue, his future wife. Long left the music industry for the steady paycheck of his second career: the maintenance industry, where he became the guy who fixes things at apartment complexes. Long embarked on jobs in State College, Detroit, Michigan, and then State College again, where he got a job as supervisor of housing maintenance for the Penn State Housing Department. When he returned to college after 15 years, Long needed a three-credit general science course to finish his associate degree (Penn State, A.A. in Letters, Arts, and Sciences, 1989). He was drawn to meteorology, inspired in part by the memory of a middle-school history teacher who often started class with brief lectures on the weather. Thinking, naively, he might have a leg up on his college classmates, Long registered for the course. The instructor escorted Long upstairs, where the top floors of Walker housed the meteorology department.